Heath, M.R., Rasmussen, J., Ahmed, Y., Allen, J., Anderson, C.I.H., Brierley, A.S., Brown, L., Bunker, A., Cook, K., Davidson, R., Fielding, S., Gurney, W.S.C., Harris, R., Hay, S., Henson, S., Hirst, A.G., Holliday, N.P., Ingvarsdottir, A., Irigoien, X., Lindeque, P., Mayor, D.J., Montagnes, D., Moffat, C., Pollard, R., Richards, S., Saunders, R.A., Sidey, J., Smerdon, G., Speirs, D., Walsham, P., Waniek, J., Webster, L., Wilson, D., 2008. Spatial demography of Calanus finmarchicus in the Irminger Sea. Progress in Oceanography 76, 39-88. Saunders, R.A., Watkins, J.L., Reid, K., Murphy, E.J., Enderlein, P., Bone, D.G., Brierley, A.S., 2007. 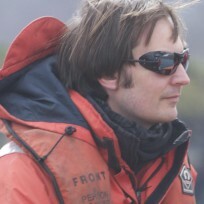 Intra-annual variability in the abundance of Antarctic krill (Euphausia superba) at South Georgia, 2002-2005: within-year variation provides a new framework for interpreting previous ‘annual’ krill density estimates. CCAMLR Science 14, 27-41. Brierley, A.S., Saunders, R.A., Bone, D.G., Murphy, E.J., Enderlein, P., Demer, D., Conti, S.G., 2006. Use of moored acoustic instruments to measure short-term variability in abundance of Antarctic Krill. Limnology and Oceanography: Methods 4, 18-29.